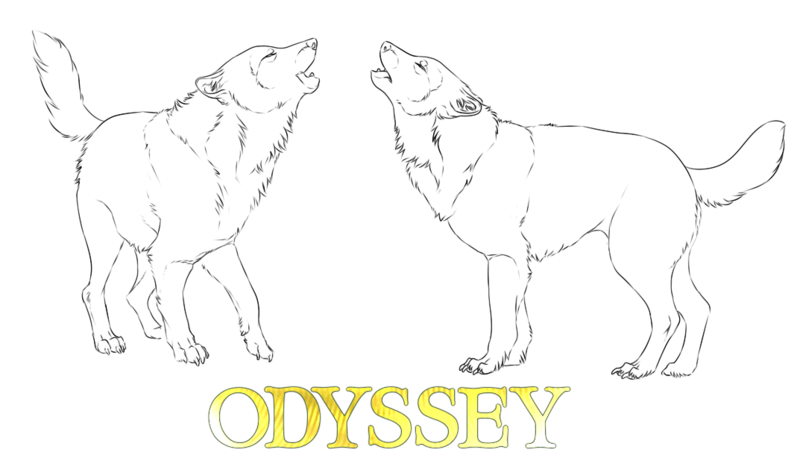 This forum contains the information of all official packs, tribes, clans, and gangs found throughout the world of Odyssey! These packs are created by our members, designed with creativity and originality. In order to join a pack, please post inside the pack's designated territory to receive acceptance from a leader. This forum will contain all of the biographies of our member's characters and NPCs! We ask that our members make only one topic to publish their creations, using the "reply" feature to post a new biography on their personal topic. This will prevent clutter inside the hoard! Do you crave organization for your character's plots? Or simply want to create a structured story line for your wolf? Whatever the case may be, feel free to do it here! Do you want to talk plots with other members? Feel free to make a plot request or discussion inside the forum! The desert of Khemenu is a truly odd landscape. With nightly sandstorms that shift the sand around, the environment is always changing shape and greets its inhabitants with daily hurdles. Navigation is restricted to only masters of the skill, and hunting is rather difficult as well inside the barren region. The sun bakes the sand making exploration painful if not light on your paws, and the lack of water can create vivid hallucinations. If you happen to escape the clutches of Khemenu, you will be greeted with a beautiful yet wild world: Alkebulan. It is said throughout generations that Alkebulan is the heart of Otaes, and it certainly lives up to that expectation with the amount of life that call the region home. Alkebulan is similar to Khemenu with the land being ferocious in temperature, but the skies open up every few months to shower the heartlands with water. When the rain does arrive, it rarely ceases to end until the new dry season begins. Need a break from roleplaying? Come, take off your shoes and stay awhile! Inside this forum will be member discussions, games, memes, and guides to help each other! Do you have talented hand for the digital arts? You can create your own shops here at Odyssey, and have members pay for custom pieces using totems. If you aren't interested in designing personal art for members, you can still showcase your work! Do you enjoy writing short stories and/or poems? Post them here! The staff and members of Odyssey would love a peek at writing pieces! Please do not give criticism unless the poster has requested it! This forum is designed to be the "hub" of all conversations regarding pets, wildlife, and nature itself. These conversations can be about personal opinions, stories, news, and action plans on how to save Earth! If you own a community, feel free to post an advertisement linking to it! In return, you will most likely receive one from us as well! This forum is directed towards communities wanting to affiliate with Odyssey! Please post in this forum if you have added our button to the front-page of your community and a copy of your forum's button, and in return we will add yours to our front-page! Odyssey reserves the right to delete the button of forums who become inactive and/or closed for any reason!